Shannon was a beautiful, kind and compassionate young woman. As a child, her infectious smile and golden curls drew attention wherever she went. During her teen years, Shannon volunteered at church as a CCD teacher and was able to connect with young people because of her accepting and non-judgmental nature. Shannon was a graduate of Woburn High School and attended Suffolk University. She was interested in various world cultures and was dedicated to furthering the cause of human rights. To pursue this goal, she had enrolled in classes to complete her law degree. Shannon was never able to fulfill her goals. 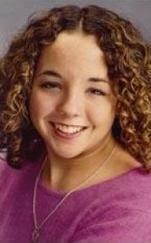 On January 18, 2008, she was murdered by a gunshot wound to the head by an ex-boyfriend. Her body was found in a dumpster two days later. 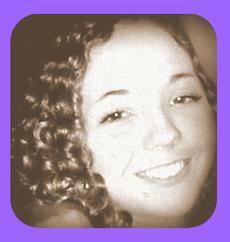 Shannon was only 24 years old at the time of her death and will be forever loved and missed by all who knew her. A quote from Shannon, engraved on her headstone, is a message to us all: "Life’s too short. Take life one day at a time... tomorrow’s never promised". 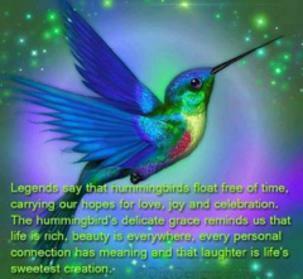 The hummingbird is a sign of peace; a symbol to embrace all that life has to offer and to celebrate the joy of every day. Shannon loved to buy hummingbird feeders and had one tattooed on her back. It has become the symbol of the foundation and a reminder to always look back on our past but to not dwell on it, instead we need to move forward and savor every moment appreciating the things we love. A little girl came into our lives, as bright and shiny as a new penny. All golden curls and shy smiles and giggles, she lit up a room just by her presence. For she was full of wonder, full of beauty, full of glory. She was loved by all who knew her — her mother, her family, her friends. For all of us saw what she possessed. We saw her wonder, and her beauty, and her glory. And the little girl blossomed into a lovely young woman - still bright, and shiny, and full of promise. And she gave us so many gifts: her sincerity, her kindness, her generosity. But like many of us, she was not always aware of the gifts that she possessed. She did not always see what those who knew her could see: That she had wonder, and she had beauty, and she had glory. But she knows it now. I am sure of it. For God has now told her: "Shannon, you are my child - and you are precious in my sight. And you are wonderful, and you are beautiful and you are glorious". And now her spirit soars freely, and her essence will remain with us, in all its dazzling glory. She knows it now. And she is at peace.